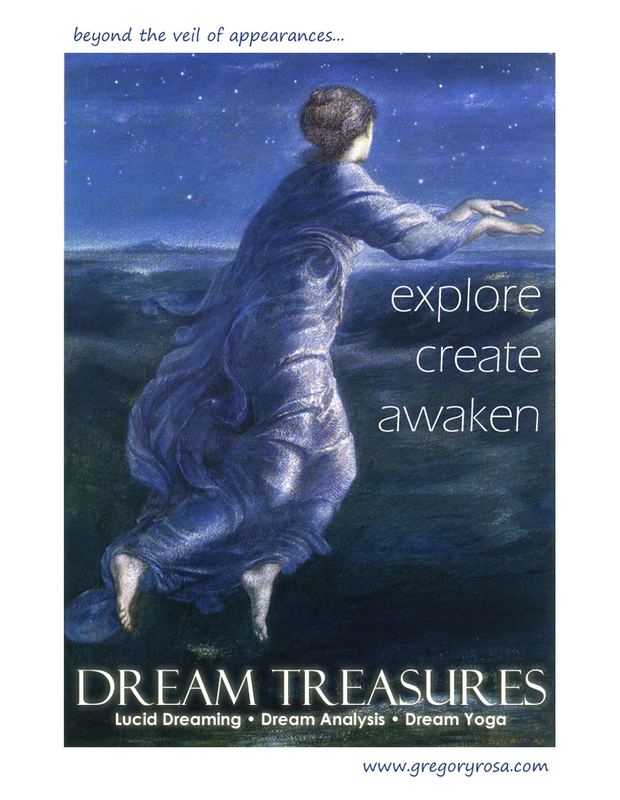 SIGN UP FOR DREAM TREASURES COURSE! Whether you want to learn how to fly, tap into your creativity, or gain profound insights into consciousness, learning the techniques of lucid dreaming can help you live a more fulfilling and meaningful life. These techniques, when aligned with the ancient Tibetan Buddhist contemplative tradition of Dream Yoga, can be used as a powerful tool to cultivate and transform the contents of your dreams, and to explore the depths of your consciousness and dream reality. In this eight-week, self-paced online course, you will learn the scientific methods used to induce and sustain lucidity in the dream state as well as the specific practices of Tibetan Dream Yoga. You will also learn about the dream analysis methods of Freud, Jung, and Gestalt therapy, which you can use to bring forth useful insights into your own dreams. By the time you finish the course, you’ll have a handful of simple techniques you can use to enhance your mental clarity, experience subtler dimensions of awareness—and help you live a more joyous and satisfying life! GREGORY ROSA is a writer, recording artist, and practitioner of Tibetan Buddhism. He lives on Salt Spring Island in British Columbia, where he focuses on using creativity to guide others to integrative wholeness. He is also a member of the International Association for the Study of Dreams.